Veal Parmagiana made an inglorious but memorable entrance into my family. Late in 1964, my Dad spent six weeks in Milan on business. He came home with a recipe hand written in Italian on a scrap of paper. The wife of a colleague had served him Veal Parmagiana and he’d enjoyed it so much he’d asked for the recipe. Dad was able to translate most of the ingredients but was baffled by “sugo di pomodoro”. At that time Dad’s workplace was located in inner Melbourne, home to a large migrant population from Italy, so before long he knew he needed rich Italian tomato sauce. While Dad was shopping for ingredients to make us his Veal Parmagiana recipe, he had also bought a head of garlic, by no means a common ingredient in Melbourne in the 1960s. To this day, I remember the domestic uproar when Dad insisted on rubbing a cut clove on his grilled steak. He was forbidden from bringing Italian food into the house after that episode, but time took care of that and just a few years later, we were regularly eating spaghetti Bolognese. 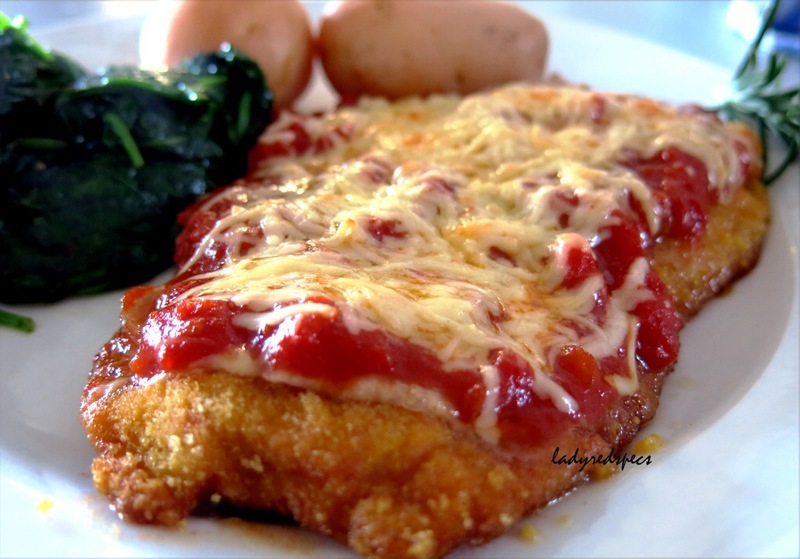 Colloquially known as a “Parma” this dish has been reduced to cheap pub food in Australia, usually greasy deep fried crumbed chicken breast, poorly seasoned passata and oily processed cheese. 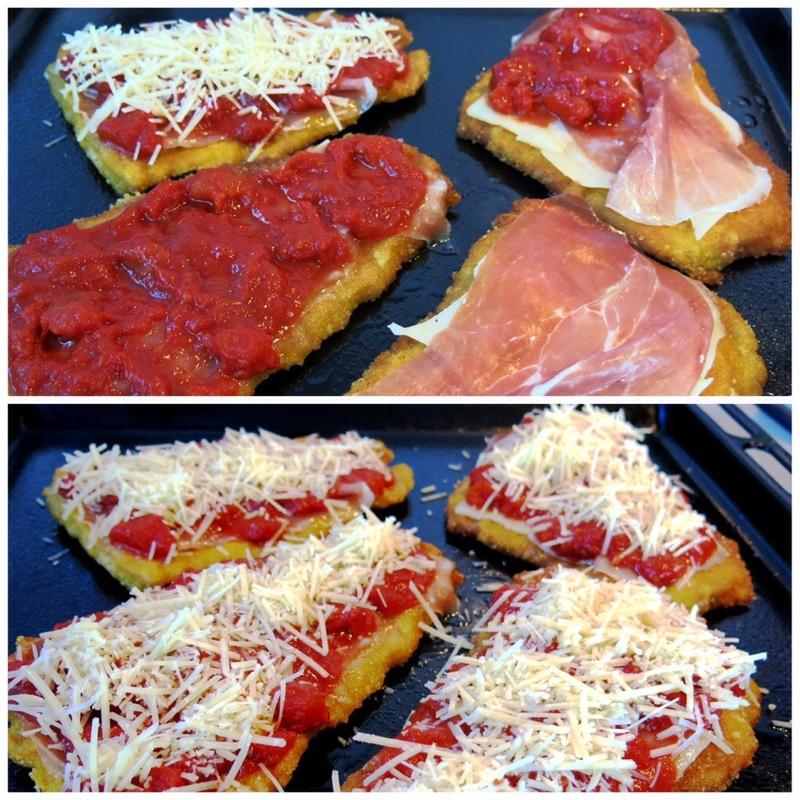 However Veal Parmagiana made with good cut of meat, lightly crumbed, quickly pan fried then topped with paper thin prosciutto, well seasoned fresh tomato passata and parmagiano reggiano which has been flashed under the grill to brown is mouth wateringly delicious. My Dad was a Cockney by birth. He clung to the rhyming slang and nonsense speak of his childhood, so Veal Parmagiana became known in our households “veal pyjamas”!! Lay the pieces of veal on a chopping board, cover with plastic wrap, then pound to an even thickness with a meat mallet. Coat in flour, dip in egg wash then coat in breadcrumbs. Refrigerate until needed. Heat the oil in a large sauté pan and quickly brown the crumbed veal. ( don’t worry if the veal is not cook through it will finish under the grill). Remove the veal to your grill pan, lay a slice of prosciutto on each, then top with a generous layer of warm tomato sauce. Sprinkle Parmesan on top. Grill (broil) the Parmagiana until the cheese is browned. Serve immediately. Enjoy……and happy Christmas from downunder! Warm memories of my Dad come from the heart. He was a foodie way before there was such a thing, influenced by his own father who was raised from a very early age by an Italian step father. Veal pyjamas is still a family favourite and always stimulates reminiscence about my Dad. Wonderful recipe Sandra. I love how he brought the recipe home handwritten in Italian. Happy Holidays! Thanks Seana, it’s the real deal, and absolutely delicious. Have a wonderful Christmas, I’m spending them in the tropics! Now and again, as I’m crushing up garlic for some dish, I wonder how we ever did without it. Lovely story and lovely dish. Ah glorious garlic, I wonder how I ever managed without it! That first encounter was certainly memorable! Having similar problems accessing your site. Really want to read more… Hope it’s just a technical glitch, easily fixed. I hope you can read my post now. Please let me know if you can’t, meanwhile we’ll keep working on refining the site. Thanks for letting me know there was a glitch. Well that’s a relief!! Thanks, not a day goes by that I don’t miss my Dad, he was an extraordinary character! Oh Sandra, for some reason I can’t access your blog… And I really want to because you know I just love to read stories that involve moms and dads. Your Parmigiana does look incredibly delish! And Happy New Year to you Lidia! My Dad was an adventurous eater for an Englishman. His father had the influence of an Italian step father from a very early age to whom we all give a big hearty thanks! I love veal pyjamas, oops, I mean veal parmagiana! 😀 ))) I can see why your Dad liked it so much that her brought home the recipe. I rally like what you have done here, with prosciutto, Italian style tomato sauce and cheese. Thanks Fae, as you know Homemade with love is always best!! Oh what a wonderful memory! I am so happy your shared the story about Veal Pyjamas, this was such a fun read, and it is such a delicious dish when properly made, as you did! Thanks Darya, it was a post from the heart! 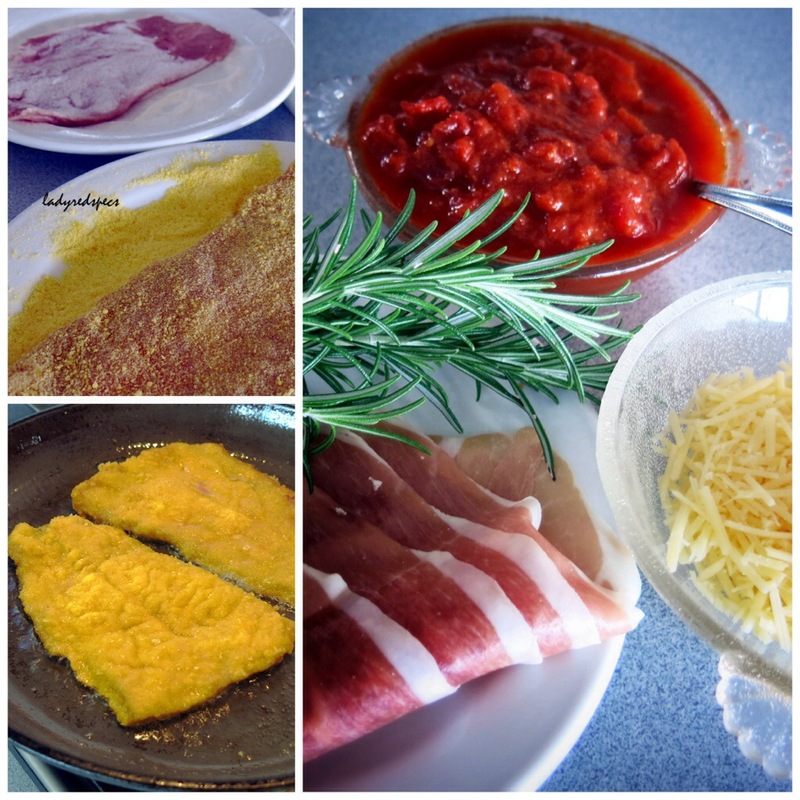 This entry was posted on December 19, 2013 by ladyredspecs in FODMAP diet, Food, Gluten Free, Main Meals, Pork and veal and tagged gluten free, Italian, parmesan, tomato, veal.